Suppliers: Board of Professional Engineers of Queensland. Working in the residential sector as a structural engineer is more challenging than it appears, particularly with housing that is unusual or creative; and involves complex forms and geometry. 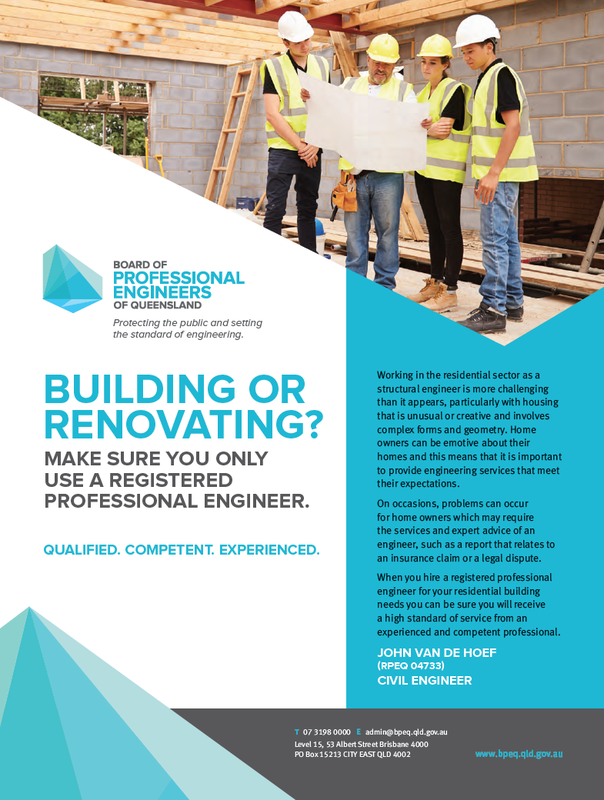 Home owners can be emotive about their homes and this means that it is important to provide engineering services that meet their expectations. On occasions, problems can occur for home owners which may require the services and expert advice of an engineer, such as a report that relates to an insurance-claim or a legal-dispute. 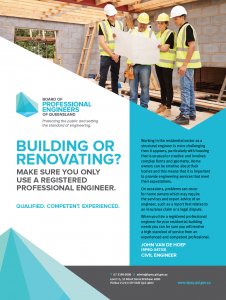 When you hire a registered professional engineer for your residential building needs, you can be sure you will receive a high standard of service from an experienced and competent professional registered with the Board of Professional Engineers of Queensland. Board of Professional Engineers of Queensland.